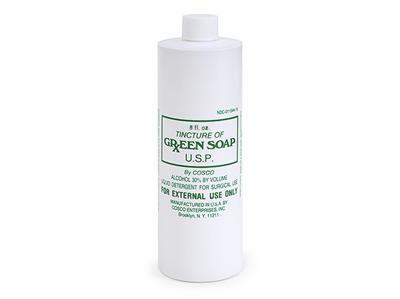 Green Soap is the most effective and powerful cleaner you will ever use in your business or salon. This strong and potent cleanser can be used to clean the skin prior to any traditional tattoo work, cleanse your tools and instrument trays, remove dried blood and protein soils from skin, scalp, surgical instruments and surgical apparatus, or cleanse away smeared pigments after procedures. You will never find a more complete and useful soap. Do not use near the eyes. Instrument tray w/ cover. 12"x7"x2" in size. Plastic kidney shaped basin - use it for anything imaginable! 2-ply professional moisture barrier towels used as protective client bibs or procedure room tray liners. Blue, 18"x12". Each unit contains 500 towels.